Why choose ModBox for your Garden Room Extension? 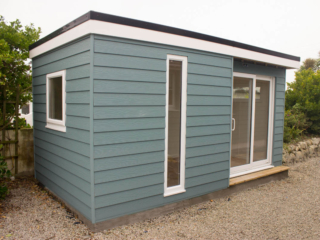 Whether attached to your main home or as a separate garden room ModBox Spaces can create the perfect addition to your property. A garden room is a cost effective way of increasing the desirability and practicality of your home, increasing the enjoyment of living there whilst feeding its capital value. With a stylish and contemporary garden room extension you can compliment the existing building design with something which helps link the outside with indoors.